Rockhopper has been searching for Penglantien riches and has found some on Club Penguin Island directly to our CPI Phone! He reveals some very interesting rumours and mysteries of our island. • A golden fanny pack from a forgotten time. It might not be pirate attire but I bet it’s filled with shiny coins! • A mossy key. Doesn’t sound interesting, does it, mateys? But I hear the key unlocks a door to a mysterious land! 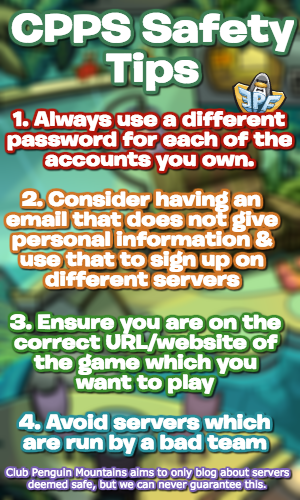 • An ancient guide to raising puffles. Some say it be a lost chapter from some kind of… island codex? • A royal scepter, said to be a treasure for the king of Penglantis himself. I bet it be covered in gems! Just last week, I found a shining orb from some awful, noisy beast. I fought the metal monster in the Sea Caves for it… But fear not, buccaneers, it’s all part of being a legendary pirate! 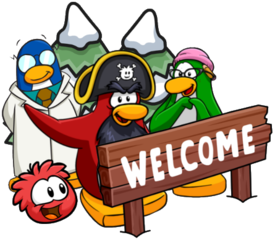 The two things that interest me is the “mossy key”, as that is what was used to open the Hidden Lake in Club Penguin if I remember correctly. Now there’s one hidden on our new island too! But when puffles come late this year or early next year, it appears we will have to raise them. I’d guess we’d need to discover how to do so in the Island Codex – something that appears in Chapter 2 of Aunt Arctic’s Adventures. That sounds really cool! I wonder what other mysteries lie on the island…waddle on!